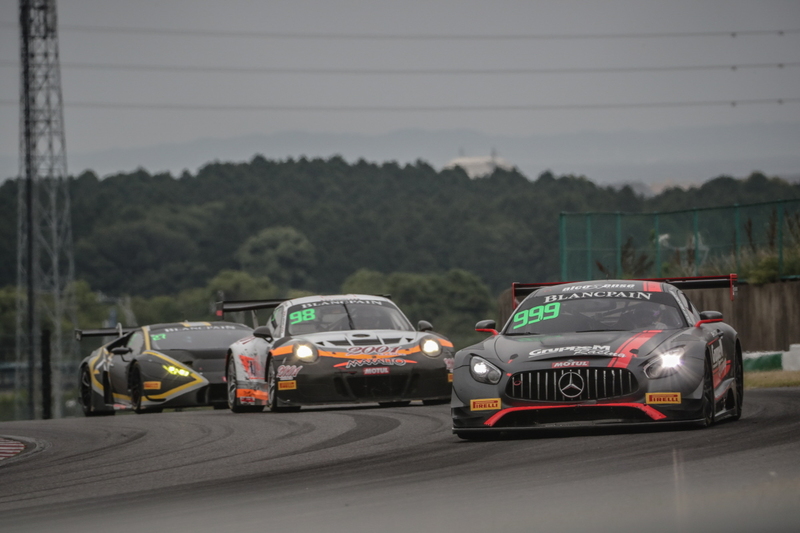 Hunter Abbott and stand-in team-mate Maximilian Gotz raced to a superb outright victory during a rain-affected sixth round of the Blancpain GT Series Asia season at Suzuka in Japan on Sunday, 25th June, to head into the category’s summer break with an eight point lead in the driver standings. Having finished round five on Saturday, 24th June, third in the Pro-Am class and seventh overall, after being on course to claim the Pro-Am win until a late race incident, British racer Abbott and German driver Gotz starred in the slippery conditions of the second race of the weekend with a seven second winning margin overall and a clear Pro-Am success too. 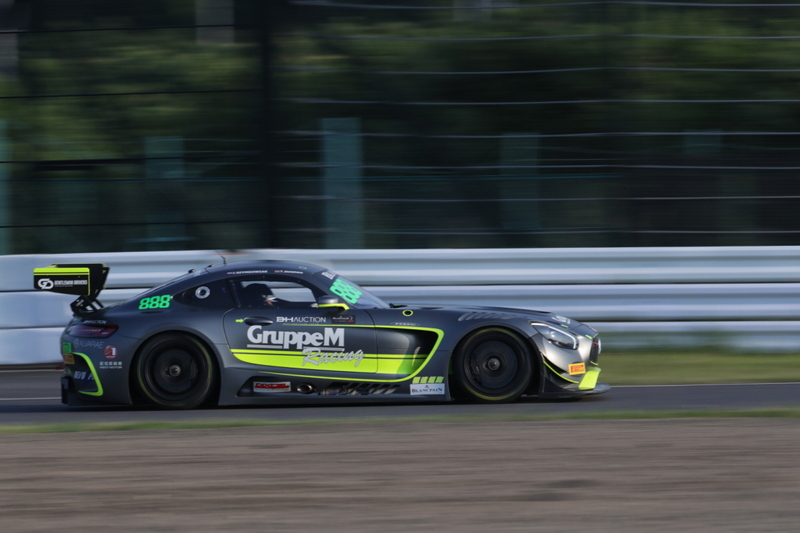 In the sister GruppeM Mercedes-AMG, Tim Sugden and Jules Szymkowiak overcame a challenging qualifying session to finish seventh in the Silver class and 15th overall in race one – having started the contest 22nd when traffic and two red flag stoppages hindered Sugden’s qualifying efforts. Race two delivered a much more fruitful outcome for the duo, though, with sixth position overall and fourth in Silver, only 0.6 seconds shy of the class top three during a dramatic conclusion. With less than 10 minutes to go, it looked a strong likelihood GruppeM could be celebrating a dream one two result overall but in the end, after a dramatic final couple of laps, Sugden finished sixth. 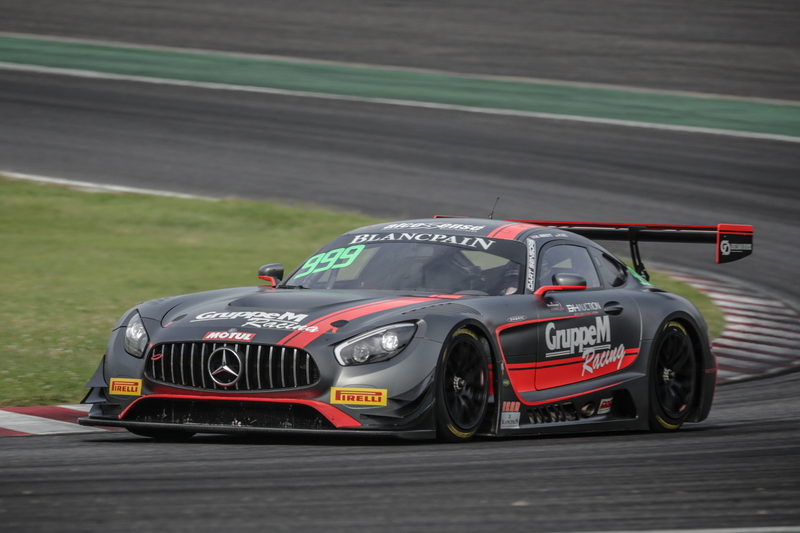 With Abbott’s regular team-mate Maximilian Buhk away racing in France in the Blancpain Endurance Cup, compatriot Gotz – who races in the Blancpain Sprint Cup – joined GruppeM for the weekend and immediately gelled with his new surroundings. 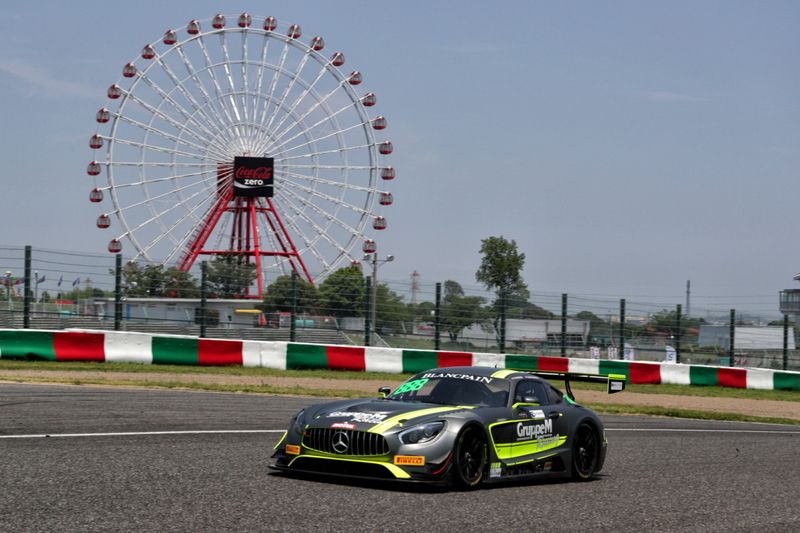 Abbott qualified the No.999 Mercedes-AMG fifth fastest overall for race one which secured the Pro-Am pole position. In the sister No.888 entry, Sugden’s far from straightforward run meant he had to settle for 22nd overall and seventh in the Silver class. Climbing into the top four on the opening lap, Abbott was shuffled back to fifth overall on lap four but then maintained position throughout the first half of the contest before pitting at the end of lap 12 to hand over the car to new team-mate Gotz. Even with an additional 10 seconds added to the squad’s pit-stop time, by way of a ‘success penalty’ from the previous event, Gotz held seventh overall when the race order settled and broke back into the top six on lap 19. Taking fifth with three laps to go, the Pro-Am victory looked assured but an unfortunate tangle on the final lap dropped Gotz to third in class and seventh overall. In car No.888, Sugden gained three places on lap one alone and two further positions on the third tour with good early momentum. Into 16th spot on lap five, the Mercedes maintained position and as the pit-stops began to be served at mid-distance Sugden stayed on track and climbed into eighth. Szymkowiak held 14th place when he took over the car and the race order evened itself out following the pit-stops, with the Dutchman eventually taking the chequered flag seventh in the Silver classification and 15th overall – although a time penalty for a rival moved him up into 14th spot. 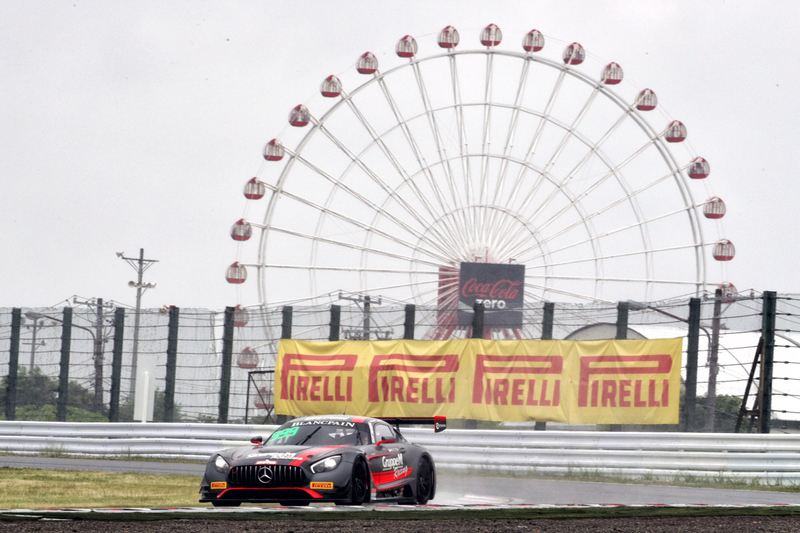 Drizzle arrived at Suzuka in time for Sunday’s race and Gotz, on slick tyres, took the opening stint in the No.999 car from fifth on the grid. Moving into fourth and then third in quick succession prior to the appearance of the Safety Car, he climbed into second after the resumption and following a Full Course Yellow period he rapidly closed down the leading Audi in worsening conditions. Moving ahead when his rival pitted on lap 10, Gotz handed over to Abbott a lap later and a terrific stop from GruppeM enabled the Briton to move into the lead. Although edged back to second a few laps later, drama for the leading Audi with a tyre blowout elevated Abbott back into first place. Dominating thereafter, he took a deserved win and Pro-Am glory. In the No.888 machine, Szymkowiak began the second contest from the seventh row of the grid in 13th position and he had moved to the cusp of the top 10 prior to the Safety Car period. Holding 10th place at the re-start, the Dutchman made great progress and by lap seven he had scythed his way through into the top four as others struggled in the slippery conditions while he excelled. Rising into the outright top three prior to an early pit-stop on lap nine, just as the rain got heavier, when Sugden emerged from the pits he held fourth place overall and set about chasing down the podium placings. Moving into third on lap 17, he applied significant pressure to the No.7 Audi lap after lap before being edged back to sixth overall, fourth in Silver, during a frantic conclusion. 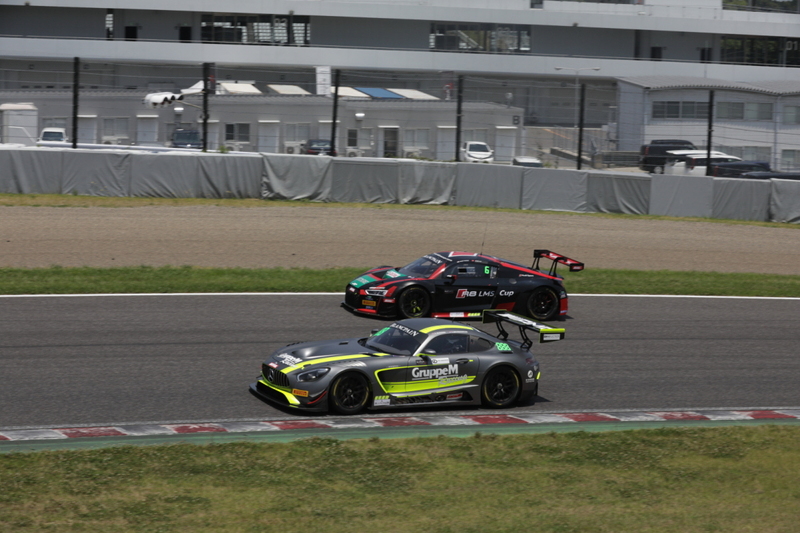 Fuji Speedway in Japan will host the fourth event of the Blancpain GT Series Asia season over the weekend 19th/20th August.